Really happy to have you here! Let us take you away for a few minutes from your world to BONITO'S happy place. We love Styling Events, being creative and making everything bonito. As much as we love working with our clients on fabulous Events & Creative Projects, we also love to inspire. Our blog posts are mainly dedicated to inspire you and update you on Bonito. Think of it as our little casita, where you come and visit whenever you like. 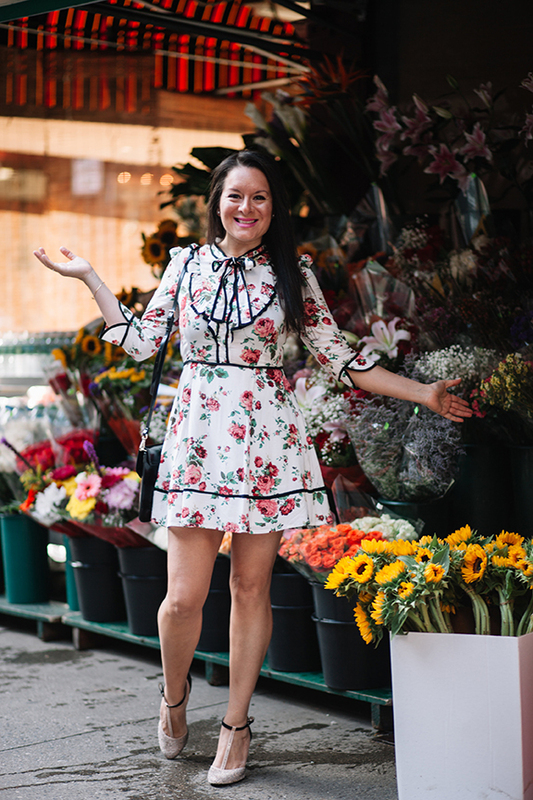 Helen Guzman, Founder & Event Stylist of BONITO DESIGN. BONITO DESIGN & EVENTS is based in NYC. 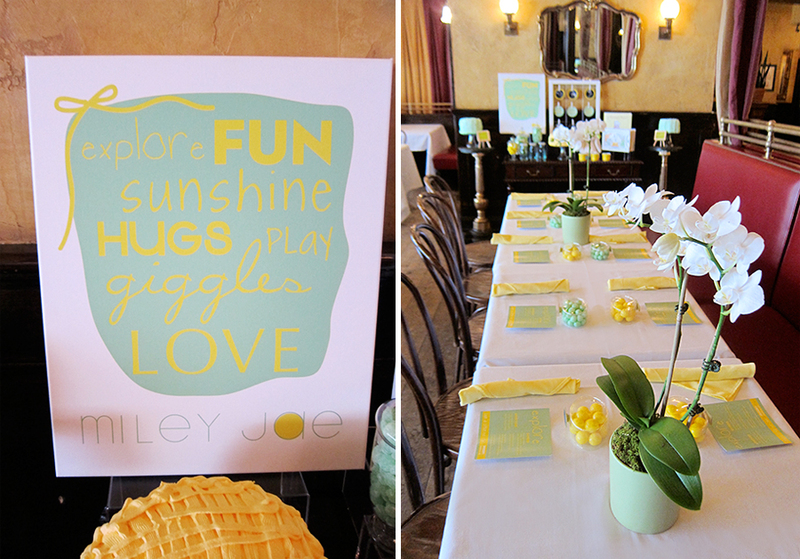 If you need our Styling Services for your next Event send us an email to start the fun! 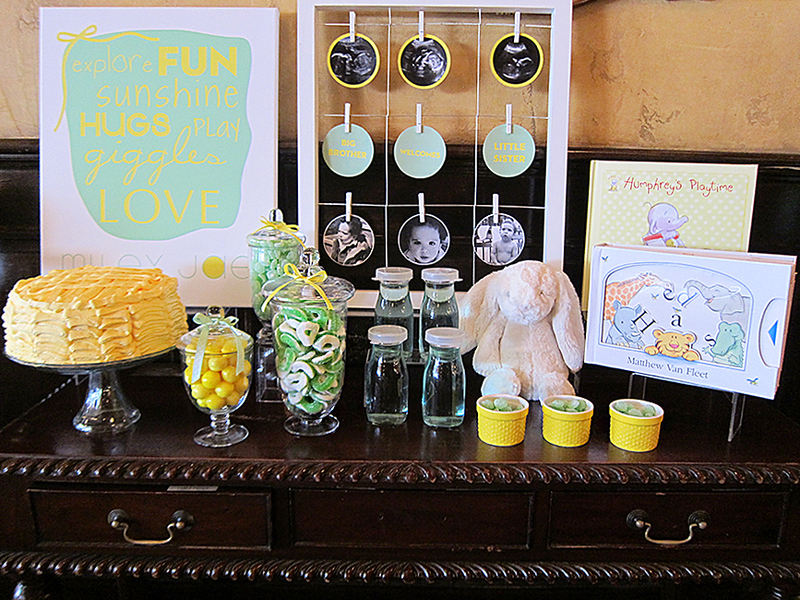 Sharing a Yellow + Pistachio Baby Shower on a beautiful spring-like weather today, just seems like the perfect time for this tbt. 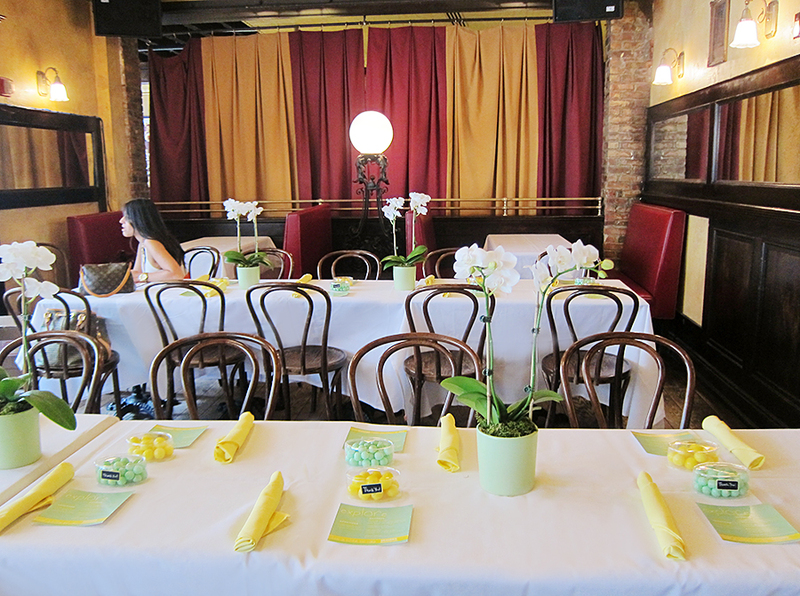 This Baby Shower was an intimate brunch at NYC Restaurant Papillon Bistro. The space gave us a fabulous area to work with. My client wanted a non-traditional baby shower decor. She was expecting a Girl and her only restrictions were NO PINK NOR PURPLE (lol) and of course I was for it. We then went with the colors Yellow & Pistachio and made everything bonito. Concentrated on the details that made it all tie together and made my client happy. Sharing a bonus pic of the lovely Miley Jae who is now 3.7 years old now. How Cute is She! Love the opportunity to always be part of special Events for all our clients! Our goal is to leave a Bonito trail of many memorable stylish Fiestas!